The Spacemusic of Arjen Schat relates more to an age or an era than it does any particular aesthetic or movement. His work's ever-changing destination is linked to the mood, talent and craft of the performer - who takes us with him on a journey to the creative center. Schat's album Audionautic Research Program (72'29") is a mind trip of well over an hour - across an improvised synthetic landscape of sustaining strings, interlocking tone patterns and ethereal effects. A wonderful tension is felt between the mechanistic sequencer blips cycling beneath an unfurling ribbon of synth lead melodies and the rush of sustaining chords. Exposing its elemental power, each of the two lengthy tracks on this release takes instant and utter possession of the listener. Sprawling, pulsing lines, running parallel to one another, are fantastically simple in their construction, but endlessly complex in effect. Cycling patterns motor and syncopate, and whirl by. In the magical motion of intricate, echoing notes we encounter a strange machine beauty. From the round and warm to something more thin and brittle, a range of melodic synthesizer expressions ride above the interplay of urgent, ever-evolving arpeggiated scales. A spirited energy of celestial harmonies, spiraling spacey effects and graceful synth-bourne melodies provide this music with a luxurious feel, even where it is most spare. Schat's expressive analogue lead voices manage to bring focus and life to what is otherwise an exercise in repetitive mechanistic virtuosity. Working at a scale that is sure to dwarf the listener, his imaginative scoring and rapt intensity evokes limitless horizons. 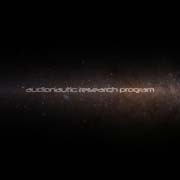 Audionautic Research Program wonderfully captures the spacefaring atmosphere and cosmic mystery expected from this style - but also acknowledges that the height of the Cosmic Music genre may have been set many years ago by its founders. 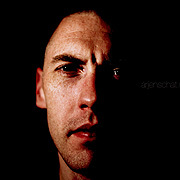 Schat knows that it is up to him and his generation of Electronic Musicians to continue in the realm of the Berlin-School - in their exploration of this work's breadth.